Lynas Corporation Ltd has been told to stop finding excuses or delay the issue of sending back "water leached purification" (WLP) waste produced by the factory to Australia which should be carried out before September this year. 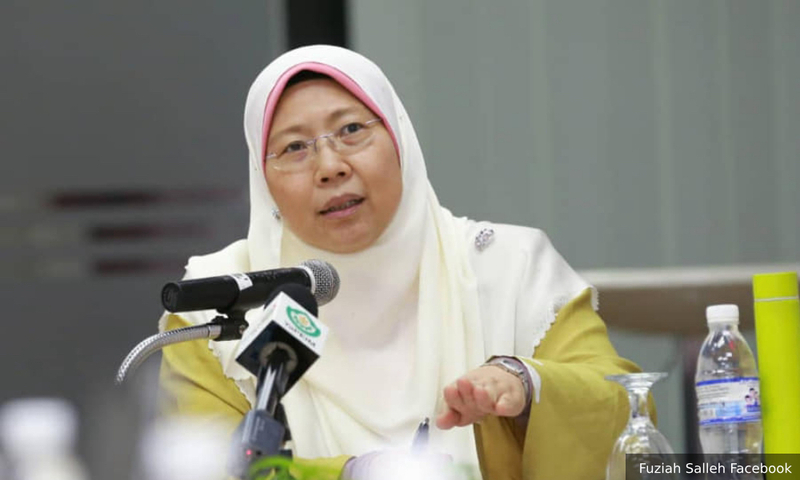 Kuantan MP Fuziah Salleh said the rare earth refinery should be clear about the stand of the Energy, Science, Technology, Environment and Climate Change Ministry (MESTECC) on the matter and not to raise other issues including the need for research on the waste. "There is no research for WLP... WLP is radioactive waste and should be separated from 'neutralisation underflow residue' (NUF) waste and MESTECC is clear in its directive that Lynas must send the waste to the country of origin which is Australia. Fuziah, who is also the deputy minister in the Prime Minister’s Department, told reporters after the World Women’s Day celebration at Pasar Tani Mega in Kuantan today. Fuziah was commenting on a study by Lynas in its environmental impact assessment (EIA) report which claimed the company had succeeded in developing two products using rare earth plant waste as foundation material for roads and as solid waste disposal material as well as land restoration known as condisoil. “I think it is better they accept the fact they have only six months to resolve the problem by sending the waste back to Australia,” she said. What's the radioactivity level of Lynas' refinery wastes?